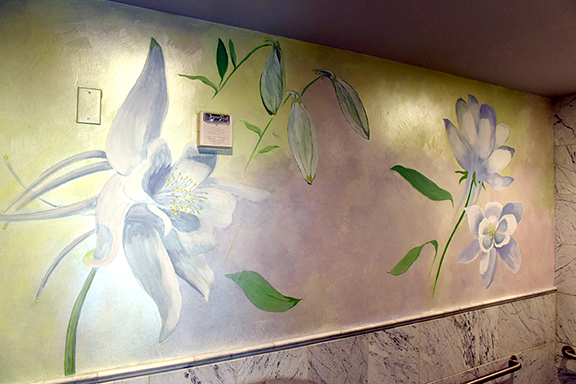 The butterfly is on a wall in one of the dressing rooms. 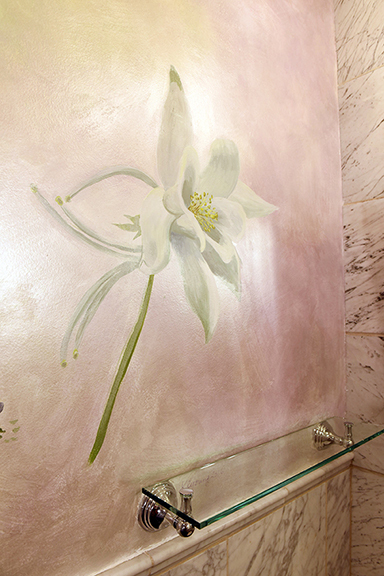 It is in front of the mirror to make the customer appear to have wings. 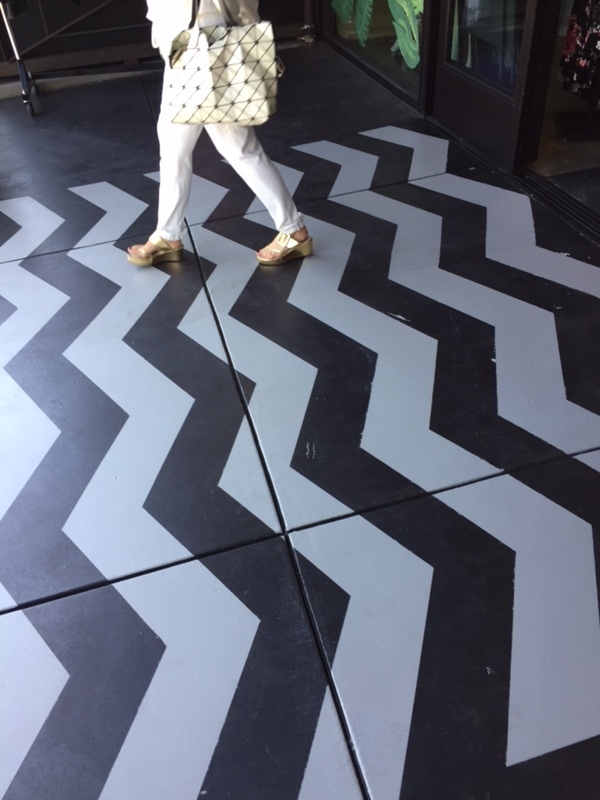 We painted this chevron pattern on the store's entry way floor to match Boho's black and white pattern bags. 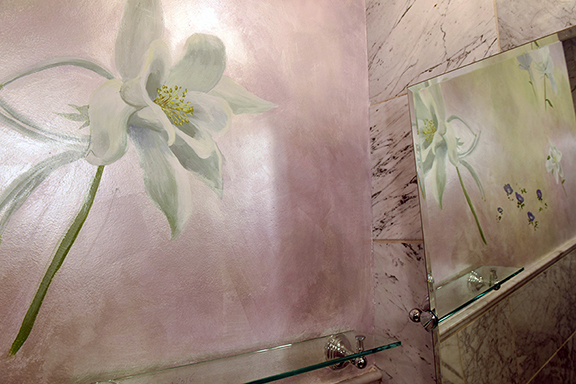 The client wanted to lighten up the space and make it more feminine and beautiful. 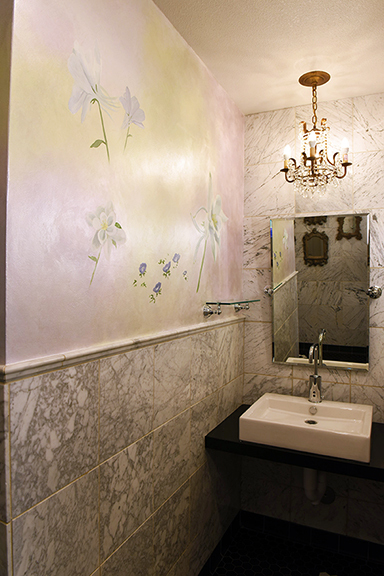 This bathroom is located off a bountiful, landscaped outdoor plaza, so the client asked us to take inspiration from the flowers and colors in the adjacent gardens and "bring the outdoors in". 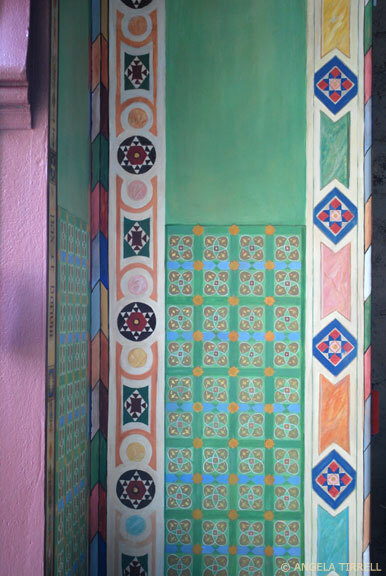 Working with a team under the direction of muralist Angela Tirrell, we created intricately detailed banding and wall designs on this shrine located in North Beach, San Francisco. 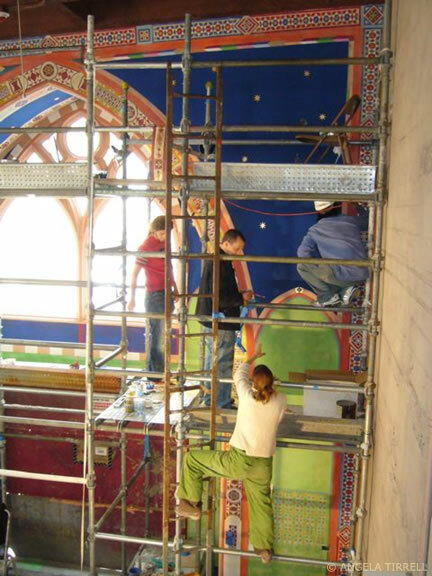 The client envisioned and built the shrine as replica of a 13th century early Gothic-style church, Basilica di Santa Chiara in Assisi, Italy. 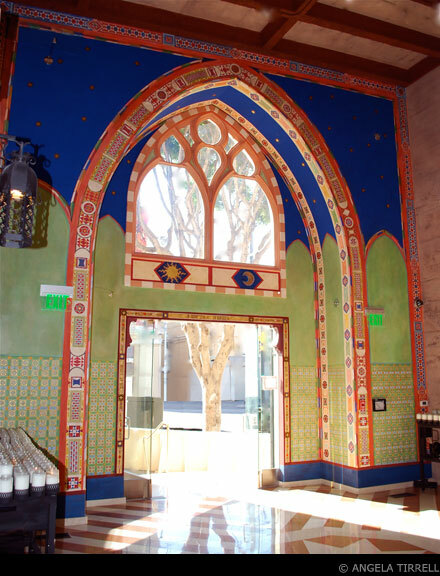 The mural designs are all inspired by the original church's Medieval artwork.